Somali PM unveils leaner cabinet. �The Somali people and the international community were waiting for a competent and credible Somali cabinet, and I am happy to appoint this lean but capable cabinet,� he said in a statement. Pirates have seized a Comoran passenger boat inside Tanzania�s territorial waters and it has now run out of fuel, the Comoros� Centre for Rescue Operations and Civil Protection (COESP) said on Wednesday. A man was shot dead after he refused to disembark from a yacht in the Indian Ocean that was hijacked by Somali pirates last week. Pirates claim to receive a record ranson of $9.5m for the release of Samho Dream, a South Korean oil supertanker. Parliament approves Mohamed Abdullahi Mohamed as new PM after a much delayed vote. Australia's flagship carrier suspends all its Airbus A380s after engine failure forces plane to make emergency landing. Somali pirates stormed a German vessel off the coast of Kenya on Sunday, the second such incident in the region in as many days. Seventeen crew members were taken hostage. 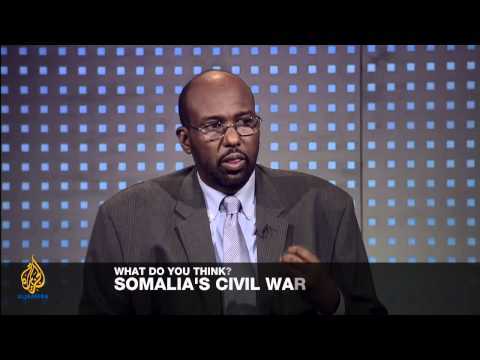 We look at Somalia's stability and security situation and discuss what can be done to help the fractured nation recover. Al-shabab has imposed a total ban on mobile telephone money transfer in Somalia. The electronic money transfer locally known as the Zaad service of Hormuud, Golis and Telcom Telecommunication Companies have been given till 31st December 2011 as their headline date to stop electronic money transfer into the country. The Djibouti republic is training 600 Somali police to support the Somali government bring peace in Somalia. The African Union commission deputy special representative Wafula Wamunyinyi told reporters in Nairobi on Monday that two hundred police men will take three months training in Manyani, Kenya. The international naval presence off the coast of Somalia is failing to reduce the success rate of pirates whose attacks on commercial ships are stunting the economies of East Africa, the United Nations said. "The bid security sum is to be paid within ten calendar days from the date of receipt ... The balance of the bid amount of $1.75 billion should be paid within 60 days from the date of issue of an offer letter," the BPE said in a statement. Kenya's Nation Media Group (NMG) cross-listed its shares on the fledgling Rwanda Stock Exchange on Tuesday, the first country in the East African Community (EAC) to adopt reforms aimed at attracting investors.